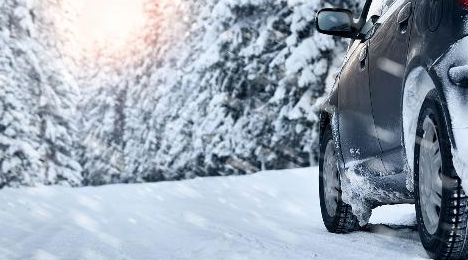 With winter weather upon us, take the time to get your vehicle in shape for that unpredictable Ohio weather. In just a few simple steps, you can ensure that you are protecting your investment and avoiding costly repairs down the road. Whether you do it yourself or visit a professional service technician, taking proactive steps to care for your car will prolong your car's value and beauty. Keep the battery connections clean, tight and corrosion-free. Extreme hot and cold weather is hard on batteries, so it is wise to check the battery charging system. Because batteries do not always give warning signs before they fail, it is advisable to replace batteries that are more than three years old. Be mindful of overuse of your battery, perhaps from all those tailgates or late summer vacations! Check that the heating, ventilating and air conditioning (HVAC) systems are working properly, as heating and cooling performance is critical. We rely on the system for comfort, yes, but warm weather and cool rain causes condensation. Cold weather requires defrosting. Fall is also a great time to check your air filters. Wiper blades that are torn, cracked or do not properly clean your windshield should be replaced. As a rule, wiper blades should be replaced every six months. When changing the blades, be sure to check the fluid level in the windshield washer reservoir. Proper oil maintenance will help extend the life of your vehicle. Even if you do not drive often, the engine oil could get contaminated as a result of accumulated moisture. Contaminants get stuck into oil as it runs through your engine. Neglected oil will eventually turn these contaminants into sludge, causing engine failure. Check with your manufacturer or user manual to properly care for your car. Be mindful of tire care, including the tire pressure and tread depth. Uneven wear indicates the need for wheel alignment. Tires should also be checked for bulges and bald spots. Consider investing in high-traction tires for when the roads are wet. Heat causes tires to expand, while cold causes them to compress. Even in perfect conditions, tires should be changed about every six years. Have you had your break system checked since last winter? Brakes, brake pads, rotors and drums all need a little love. Brakes are an obvious critical component to vehicle safety. Don't forget it's back to school! Stay slow in the those school zones and prepare to brake often. Sure, inner beauty is important, but give your outer body a little love too. Give you car a good wash every few weeks, even when the weather isn't great. Salt from rain can cause rust, and dusk and pollen can leave your car looking dirty, not to mention cause problems for you. And whenever you can, keep your car covered or in a garage. Don't Have a Car to Love? If you are in the market for a new or used car or want to see if refinancing is right for you, let BMI Federal Credit Union put you in the driver's seat! See what you can save when you refinance your auto loan! Earn $250 when you refinance with BMI Federal Credit Union. If we can't beat your rate or lower your monthly payment, we'll give you $50.